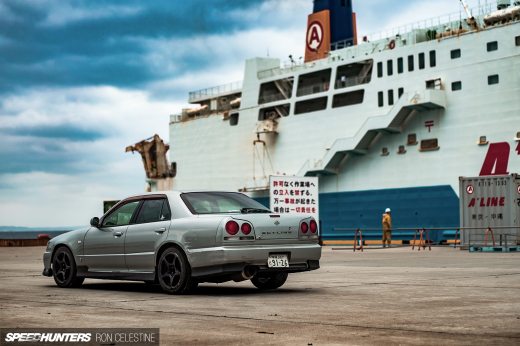 I used to think that picking a car to spotlight would be easy – but that was before I started Speedhunting. When I turn up to an event like the monthly Harry’s Cafe meet in Western Sydney, having my expectations shot to pieces by hundreds of infinitely-cool and unique builds requires a recalibration of the brain. 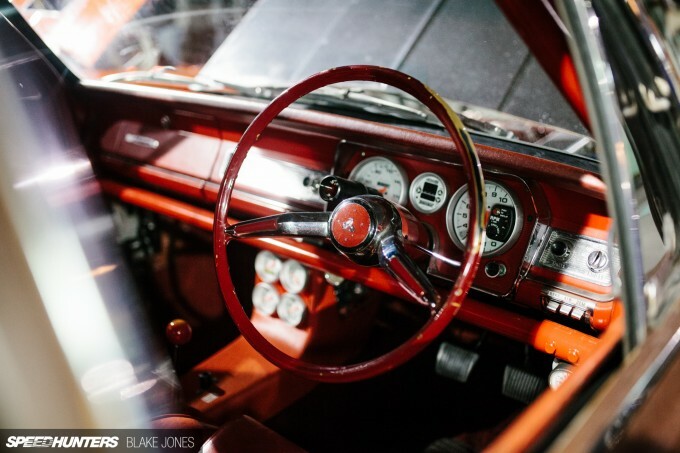 In these cases I hit the reset button and just ask myself, ‘which car is the coolest?’ It’s a deceptively simple question, but one that seems to work. Amongst the deep paint and polished chrome of the more traditional customs that were on show two weekends ago, the distressed look that this GM Holden HR was wearing really stood out. 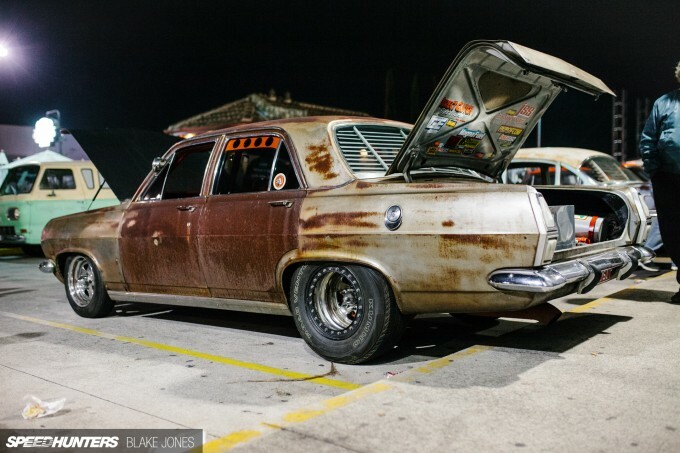 In fact, it’s pretty rare to see this ‘rat rod’ style in Australia full stop. To the uninitiated masses this car might be nothing more than a rusty relic, but the purposeful stance provided by 3-piece drag racing wheels stops me short of labeling the car a sleeper. Truth be told, what really caught me eye was the engine bay which the owner had helpfully propped open, because I may have walked straight past if he had left it closed! Sandwiched between a sizable high-mount turbo and a custom fabricated intake manifold was the unmistakable rocker covers of a Nissan RB26 from the Skyline GT-R. 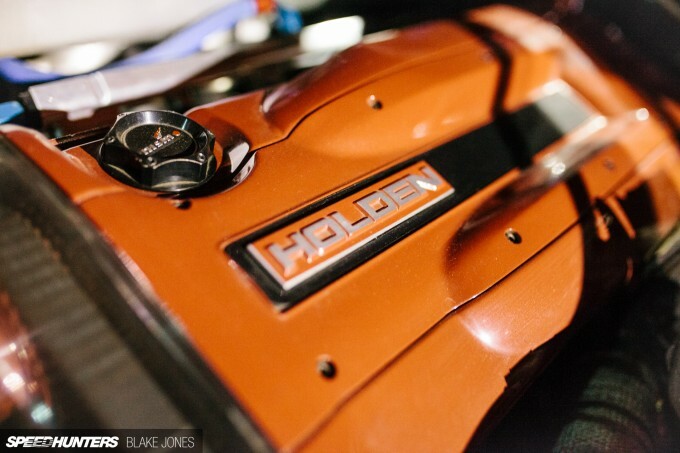 Even the Holden badge transplanted onto the centre cover couldn’t hide the Nissan origins. This particular emblem was donated from a VL Turbo and is a tongue-in-cheek acknowledgement of this car’s straight-six roots and the Nissan link to the VL Turbo’s engine (an RB30ET). 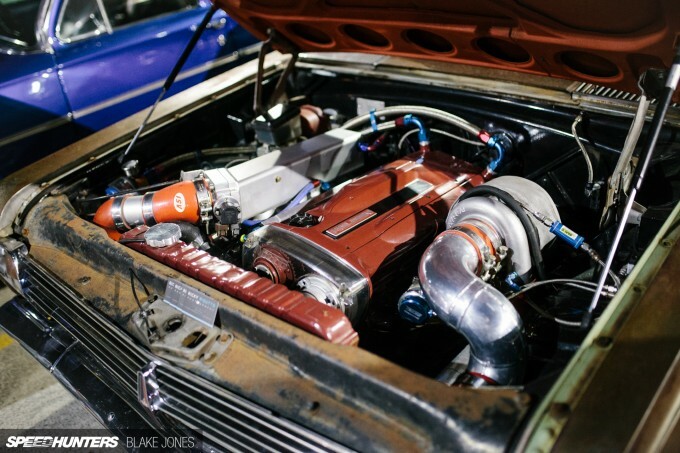 It turns out I was mislead about this being a GT-R powerplant though, as hiding beneath the covers is actually an RB25DET – the single turbo, 2.5-litre unit from a lesser model Skyline. 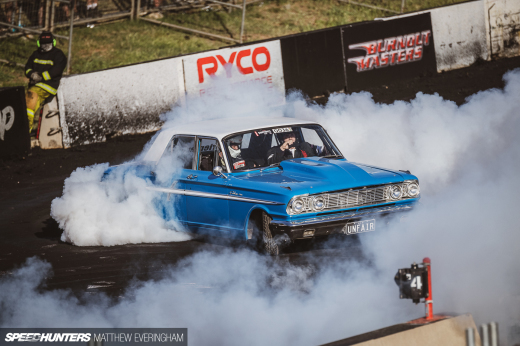 But added to the Nissan/Holden lovechild under the hood are plenty of ancillary upgrades – like a large single turbo and a Turbosmart external wastegate – that help the engine produce much more power than the RB26 ever did from the factory. Considering that there had been so many surprises at the front of the car, I couldn’t resist peering into the boot which had also been left suggestively ajar. 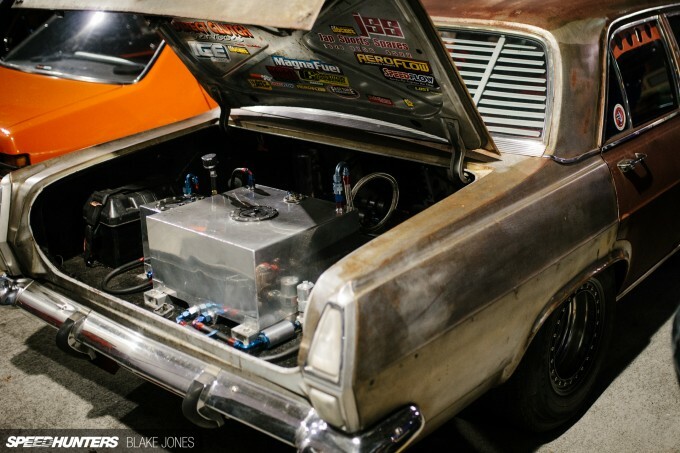 Custom fuel system? Check. Battery relocation? Check. 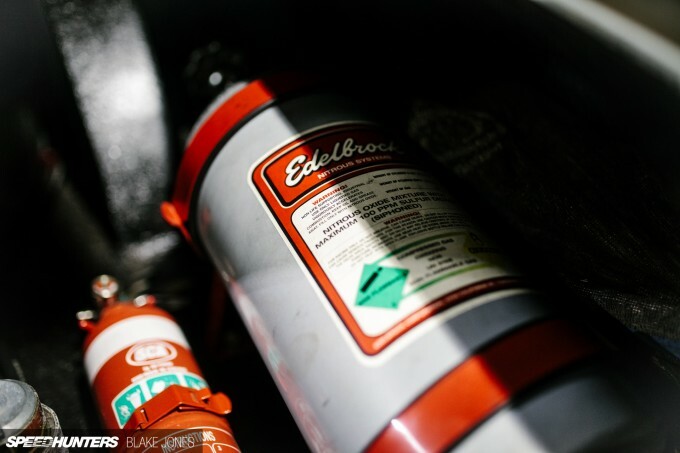 And nestled alongside was the ultimate luggage space accessory: a bottle of nitrous oxide for a little extra kick when the owner requires it. Peering inside revealed that most of the factory red trim had been left in place and was in remarkably good condition. 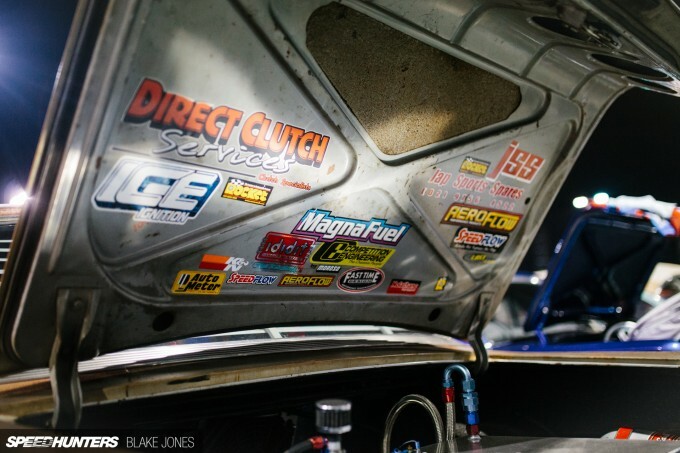 A bevy of aftermarket gauges have been fitted, and no doubt nearby lurks a switch to initiate the nitrous system. I honestly can’t fathom trying to control this machine with such a comically-large and thin-rimmed steering wheel once boost and nitrous have entered the equation. 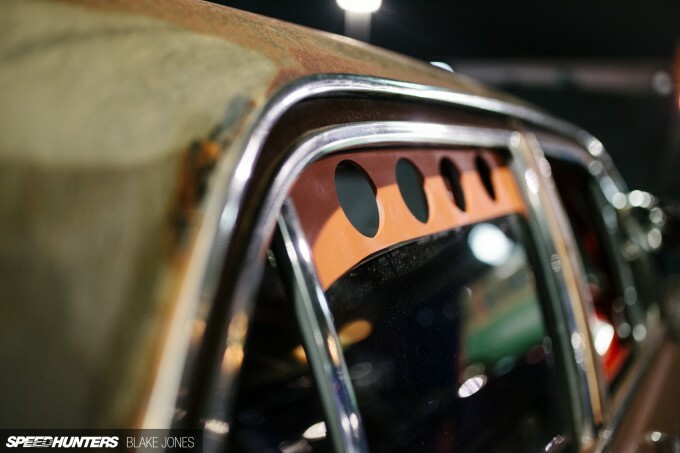 Not a square inch of the car was devoid of some form of patina or personality, which I guess is what building a car in this style is all about – impressing with creativity rather than sheer power or big dollar gravitas. Although the owner did seem pretty proud of his creation, there’s no doubting it was built for his own enjoyment before anyone else’s. And it’s this approach to the build – putting ‘why not?’ before ‘why?’ – that drew me towards the car. Would I give this guy a thumbs-up if I saw him cruising around? Hell yeah I would! 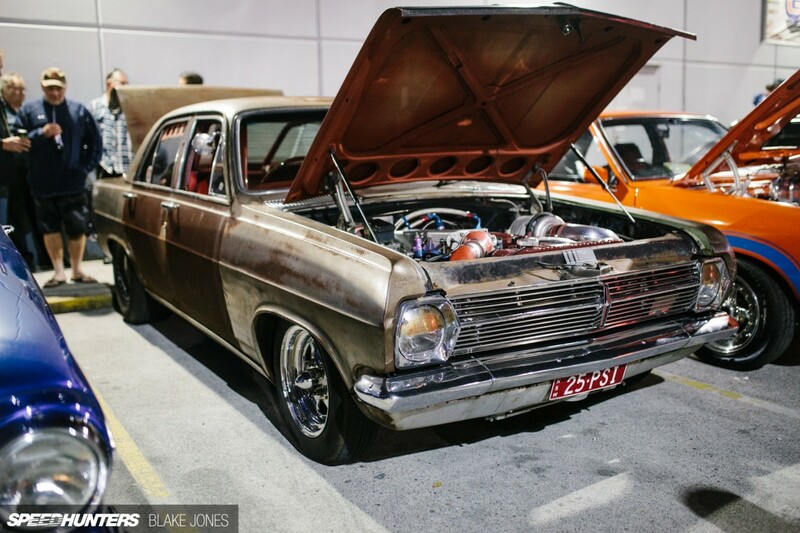 So if you see a rusty old HR Holden cruising around Sydney, give him a thumbs up for me. 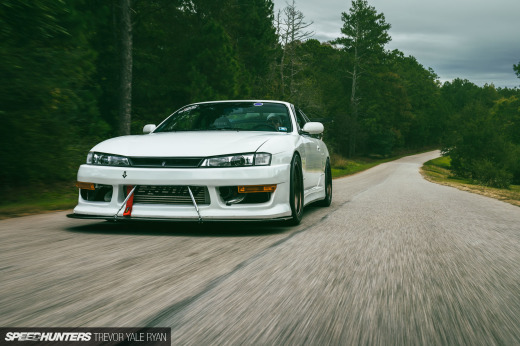 Just don’t try and race him for pink slips…. 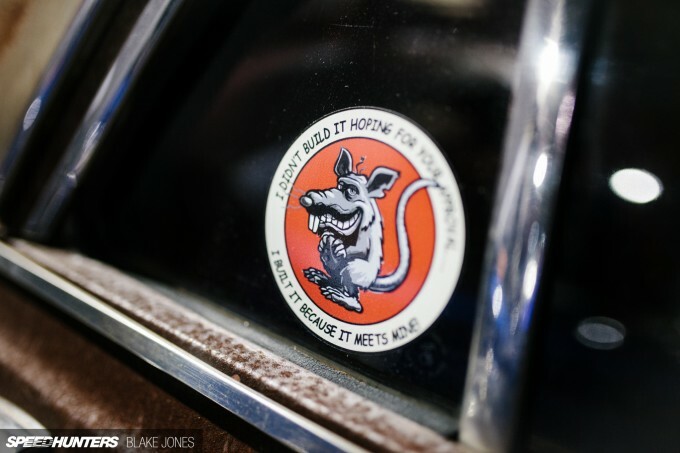 I love that rat sticker. My first car was an HR. The hot ticket back then (late 80's) was 13in deep dish chromies, a 186 taken out 192 with triple webers and a Celica 5 speed and Commodore seats. How times have changed. PS the Barracuda is nearly done :). The older EH steering wheel's a nice touch. Wow, this car look like as Russian GAZ Volga, or conversely. MarkPsaila I didn't even know Zoom was still kicking on! will have to buy my first issue in 10+ years, pretty sure you're on the HD/HR Facebook page dude so chuck up a post when it comes out to remind us all. MarkPsaila Love the car Mark! See you around sometime. MarkPsaila Any times down the 1/4 mile that you'd like to share? He's got a lot of subtle mods on it like the clear tail lights and the HD grill. Oh no. An RB inside a Holden! I think there's plenty of Holden fans who despise the Skyline and the RB engine, banned from Bathurst after a year or two?? Question - what does he do about that corrosion? Wouldn't it be better - long term - to get it fully stripped back and then prime and paint, as that patina and all that rust must surely make the iron easier to corrode? Don't know if that's the case here.